The Superior Group Of College Lahore Punjab. 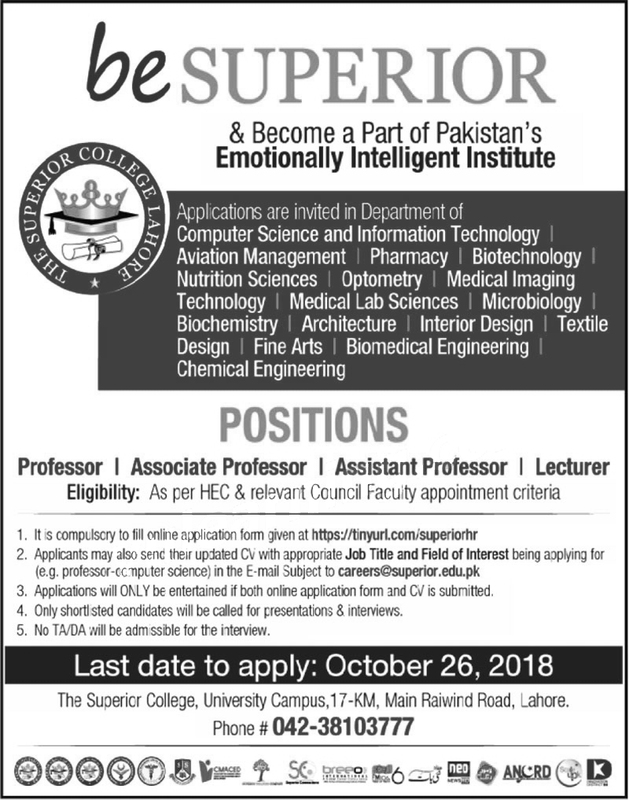 Eligibility: As per HEC & relevant Council Faculty appointment criteria. 3. Applications will ONLY be entertained if both online application form and CV is submitted. 4. Only shod sted candidates 011 be called for presentations & interviews. 5. No TA/DA will be admissible for the interview. University Campus,17-KM, Main Raiwird Road, Lahore.